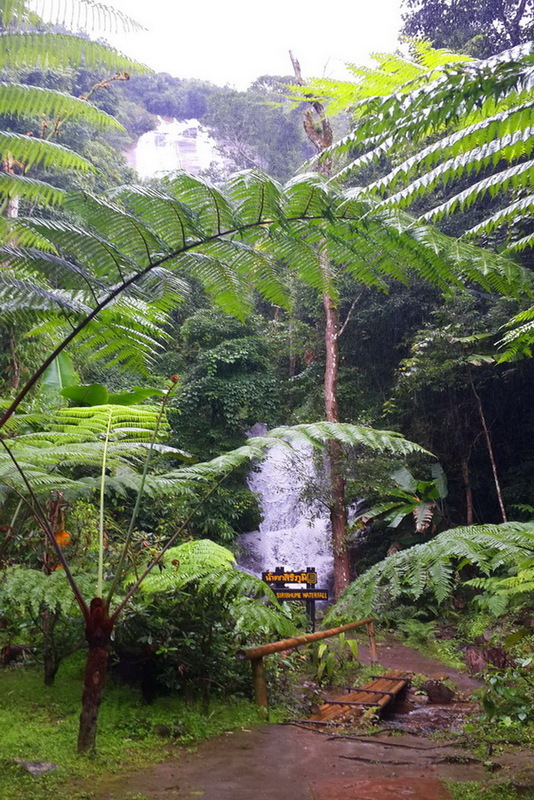 Inthanon National Park is the highest mountain of Thailand, 2776 metres above sea level. 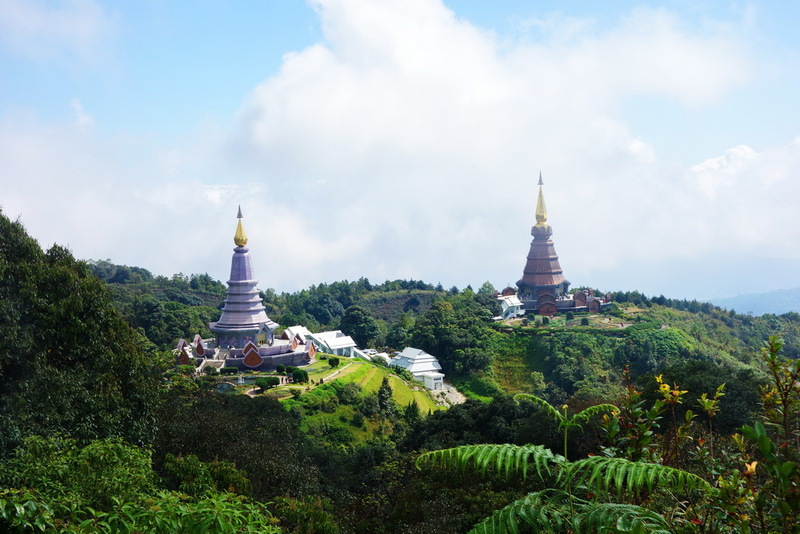 Doi Inthanon forms the watershed between the Ping River to the east and the Chaem River to the west, both of which eventually feed the Chao Phraya River, which supplies water to rice farms of the central plains and to Bangkok. Inthanon National Park extends over an area in excess of 48,000 ha and, after the road climbs through the lower dry regions, there is a noticeable drop in temperature and increase in lush vegetation. This is a land more reminiscent of the west coast of New Zealand’s South Island mists, ferns, rhododendrons and a wonderful feeling of freshness everywhere. 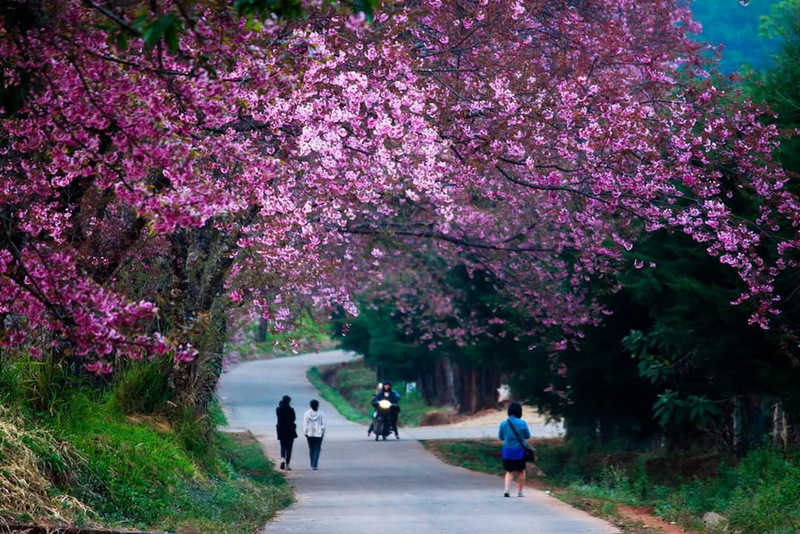 One of the places to admire such flowers bloom is at the Chiang Mai Royal Agricultural Research Center (Khun Wang) in Mae Wang district. The flowers are always in full bloom during the second week of January and will last for about two weeks. Late February is the ideal time to see the full blooms of the red rhododendrons. 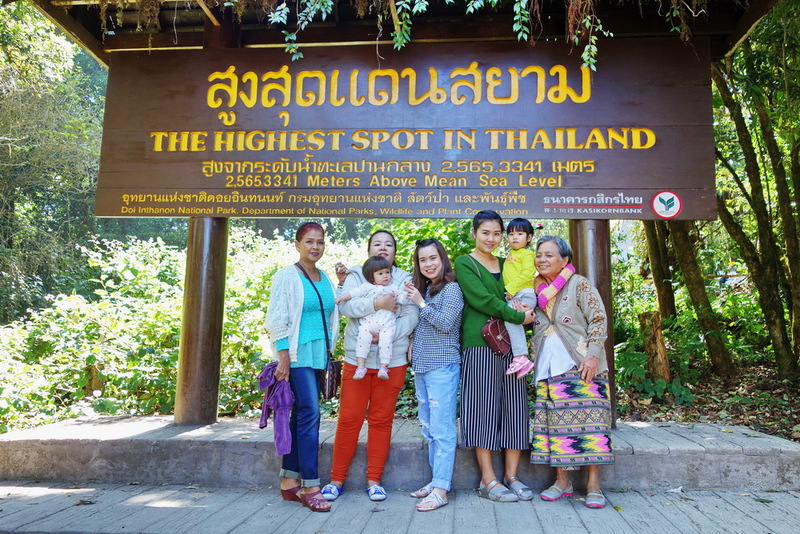 At the summit (in January, an average nighttime temperature is a chilly 5 Centigrade), there is a large sign which advises “The Highest Point in Thailand” and, of course, this is a photo opportunity for every visitor. The ruins of an ancient temple is a short distance through the trees and a stupa, in which the ashes of King Inthawichayanon (after whom Doi Inthanon is named) are interred, may also be visited. Many activities are available at Doi Intharion : here is a list of the top activities to do, from the top of the mountain to the bottom. 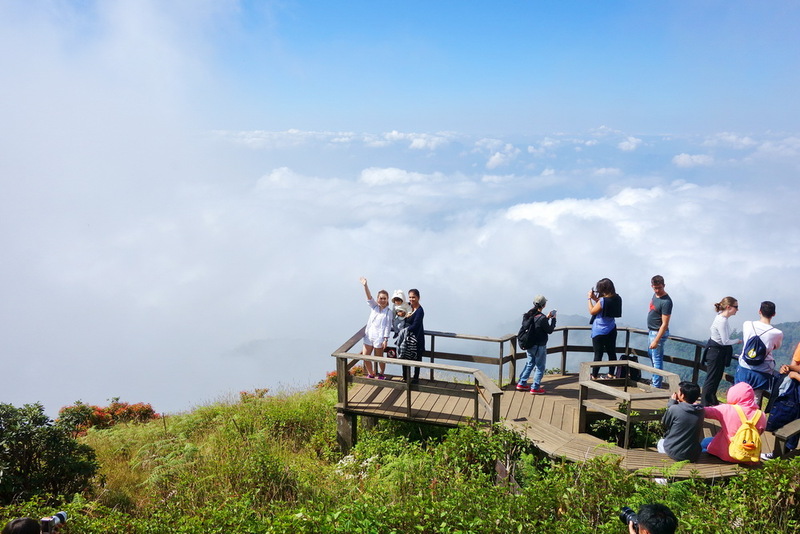 First is the peak of Doi Inthanon (Km 48) : once up here, you’ll be at the highest (and probably coldest) point in Thailand. From this point, if you are interested in mountain hiking, villagers can take you on a long trek in the surrounding forest where you will meet with Karen and Hmong villages (half day and full day trek). Nearby the peak of Doi Inthanon is a radar station belonging to the Thai Air Force as well as a memorial of the last ruler of Chiang Mai. 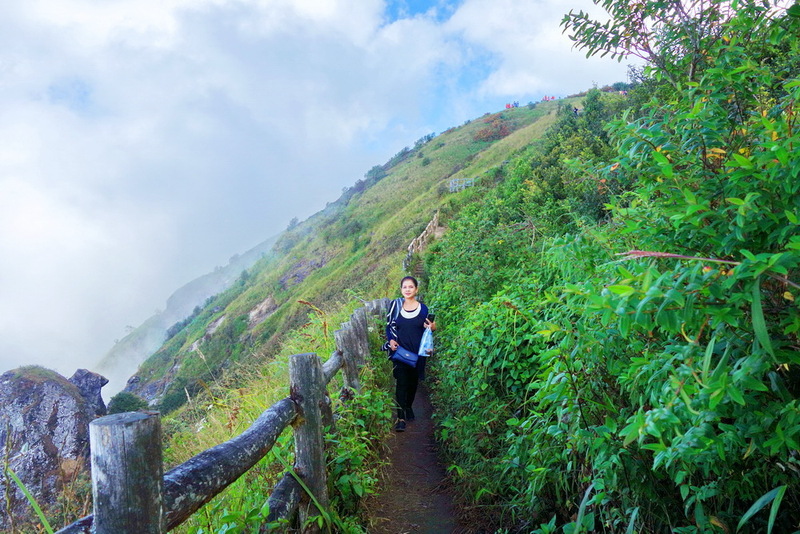 Kiew Mae Pan (Km 42) is one of the most beautiful and rewarding walks in the park is a new trail which begins a short distance up the main summit road from Napamaytanidol. 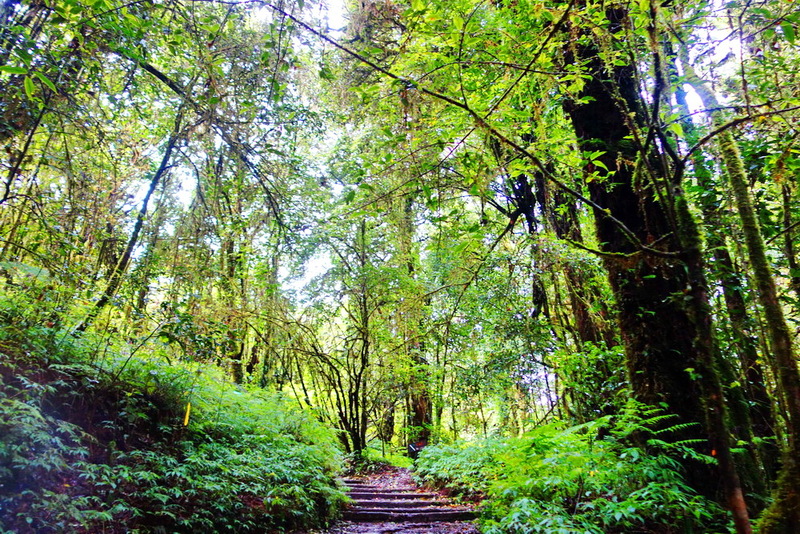 The path leads for a kilometer or more through dense, moist evergreen forest, then emerges and follows the top of a steep slope bordering the canyon headwaters of the Mae Pan River. Dotted with red rhododendron, the trail proceeds southward for another kilometer with fine, open views to the west, then re-enters the forest and eventually terminates at Napamaytanidol Chedi. Two hours would allow a leisurely walk with camera stops. About 500 meters from Kiew Mae Pan. Visit one of the best points to stop to take in the views over the Doi Inthanon National park can be found at the location of the twin Royal pagodas (Km 41.5) which were built by the Royal Thai Air Force in commemoration of the 60th birthday of Their Majesties The King and Queen in 1987 and 1992 respectively. 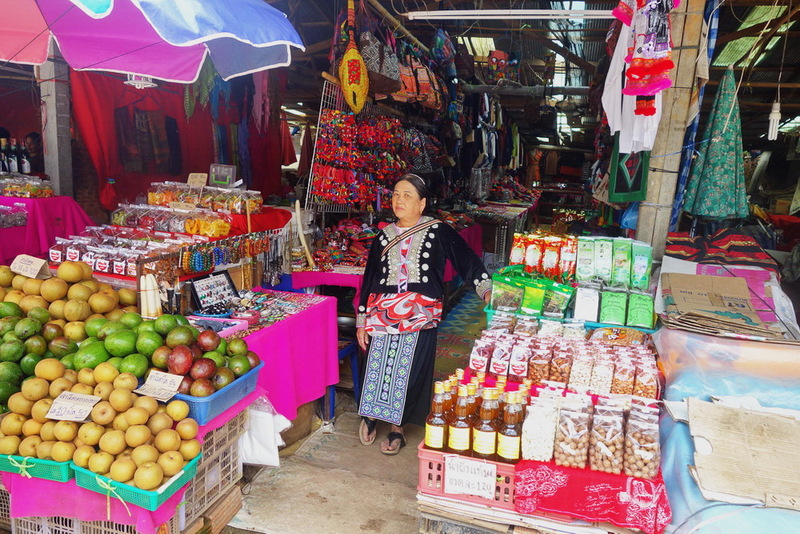 The Hmong market (Km 31) is a good choice for anyone who is looking for products or souvenirs created by members of this hill tribe. They wear Black trousers with a dark jacket with embroidered collars and green, white and blue stripes on their long sleeves. Traditional rice growing and gardens in the hills is being replaced by emphasis on other cash crops cabbage, potatoes, tomatoes and strawberries which were introduced as a substitute for opium growing. Hmong are involved in several royal projects such as the Doi Inthanon Royal Project which focus on crop substitution. 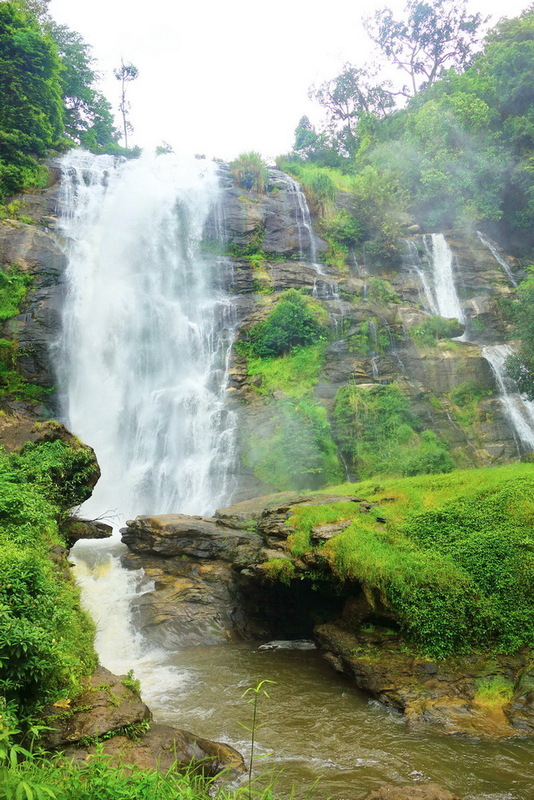 Inthanon National Park also houses some of the region’s most beautiful waterfalls, some have calm pools where one can fully immerse oneself, while other are simply beautiful, shady spots to dip your toes. Most waterfalls can get thunderous in the wet season and caution should be exercised on slippery rocks and, if you might not always get them all to yourself, the sight of relaxed, smiling locals enjoying the tranquil settings is an experience in itself. 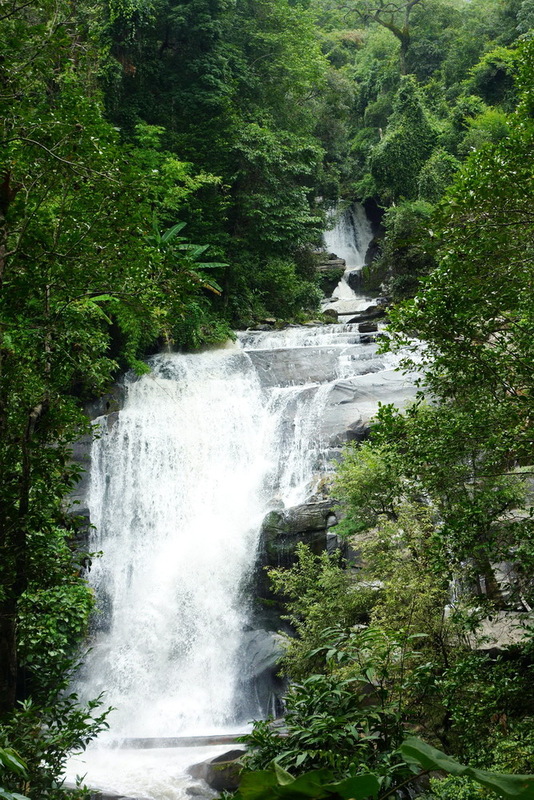 The most spectacular waterfalls : Mae Klang, Wachirathan, Siriphum Mae Pan and Mae Ya Falls. 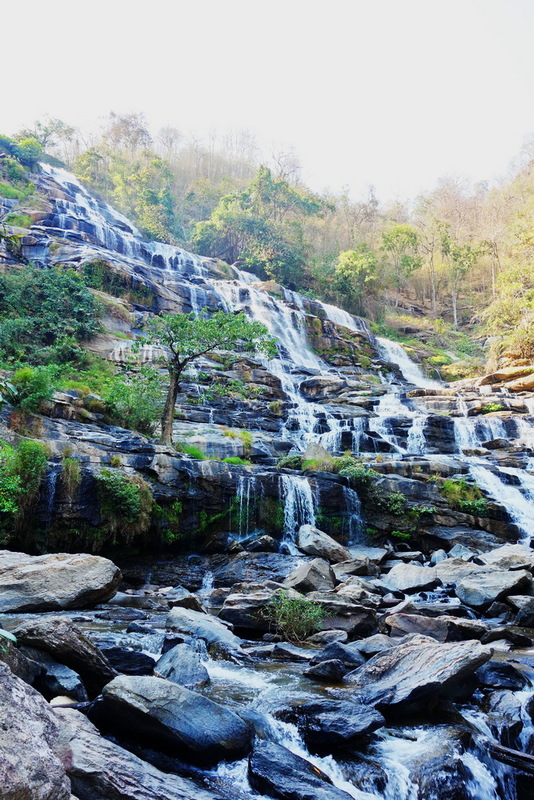 Inthanon National park is situated about 60km south west of Chiang Mai via highway 108 then turning right in Chom Thong onto the 1009 The highest mountain Doi Inthanon is actually a further 50 Km drive into the Park. Using public transport to visit the Park is a bit limiting, although you can charter a songteaw in Chom tong to take you to the main attractions in the park. If you don’t have your own transport then consider one of the organized tours which depart from Chiang Mai daily. The cost of entry is 300 THB for adults and 200 THB for children.